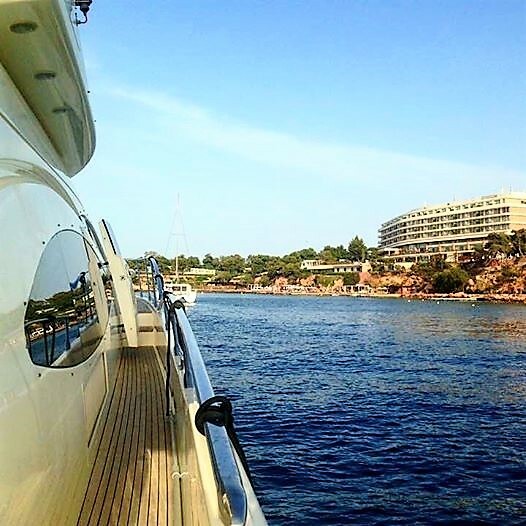 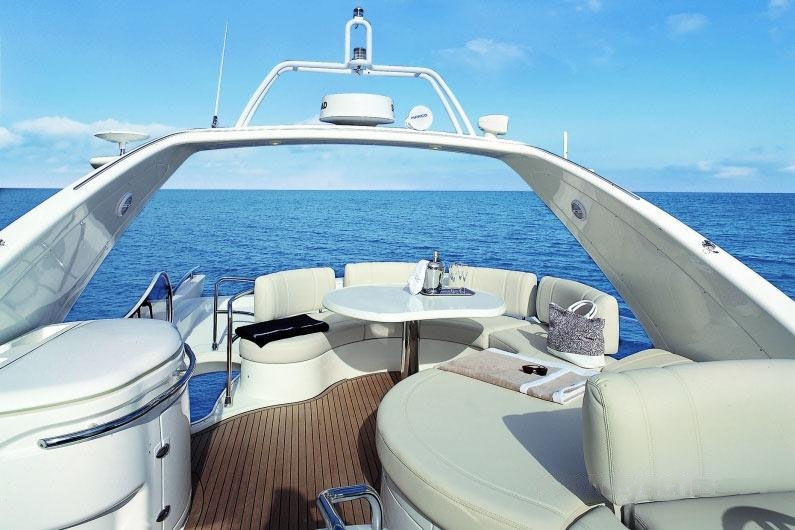 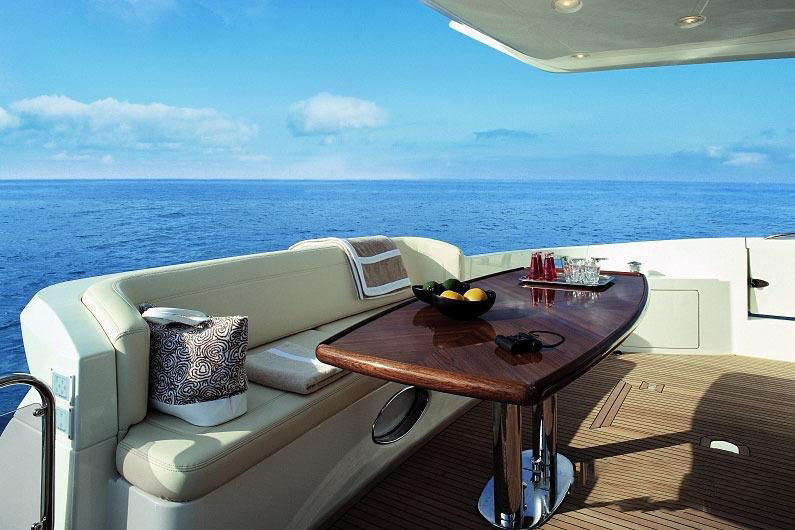 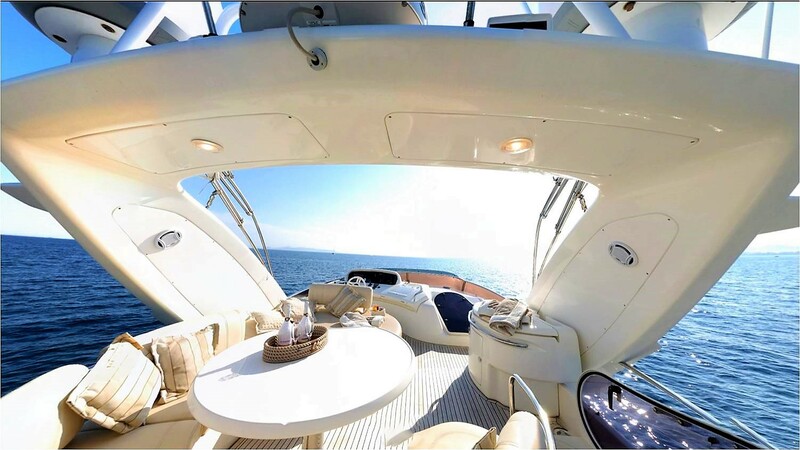 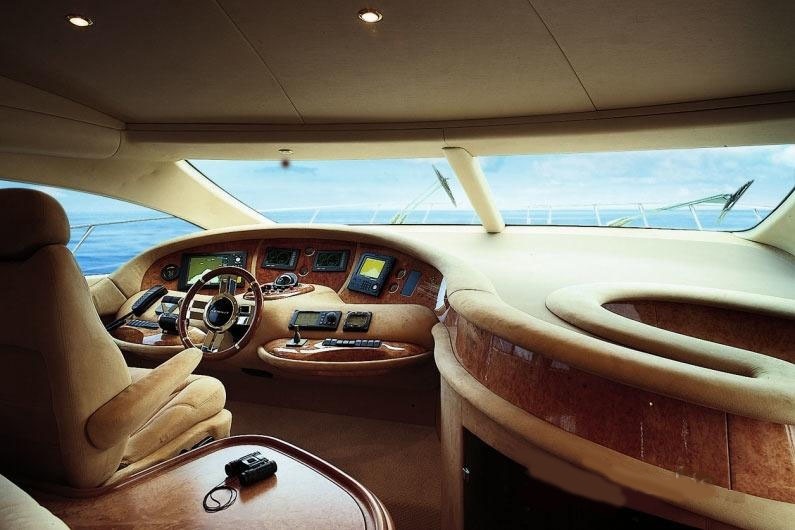 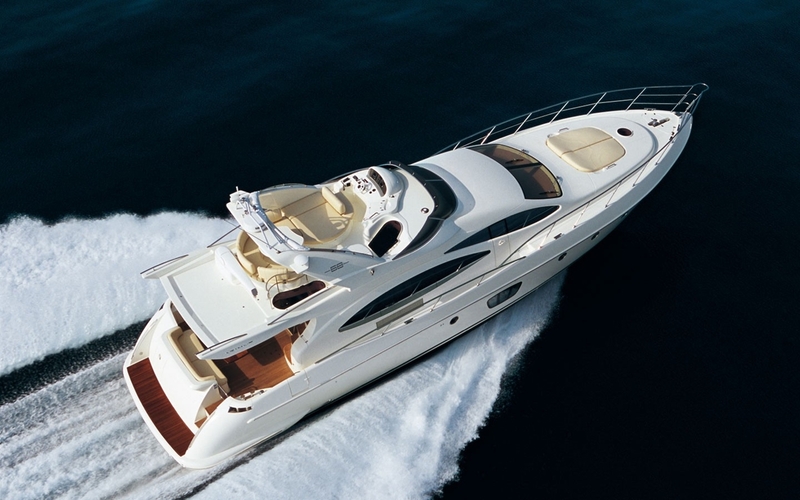 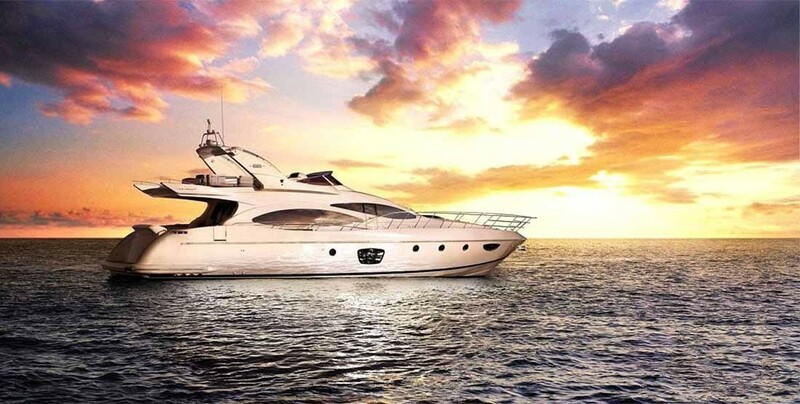 CHILL OUT II is a 21.70m (71' 2") AZIMUT motor yacht built by the iconic Italian shipyard in 2009. 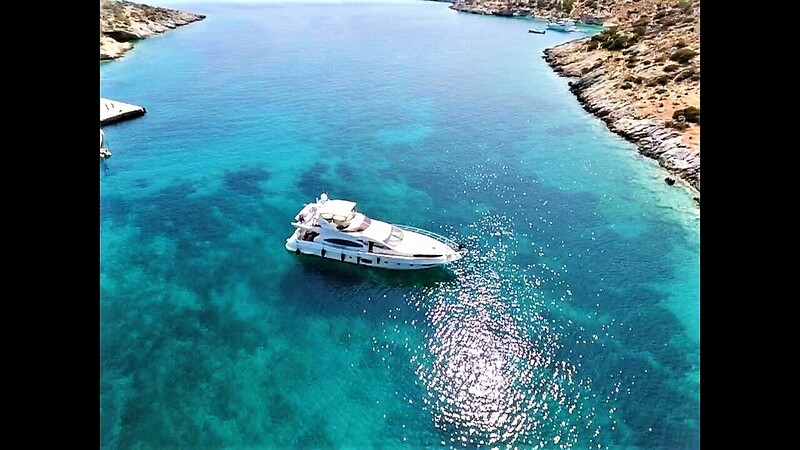 She was refitted in 2019 and, with beautiful interiors by Stefano Righini, offers overnight accommodation for up to nine guests in four cabins. 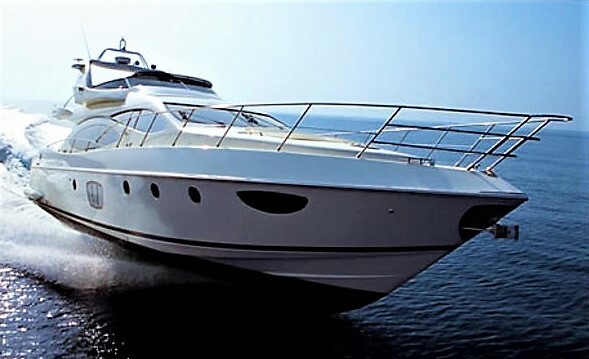 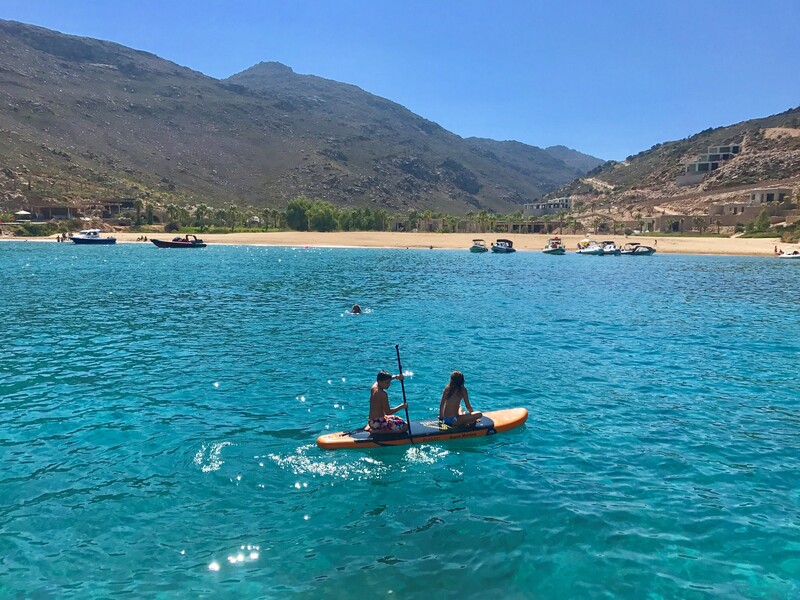 She has an attentive and professional crew of three on board, ensuring a fun and relaxing charter holidays at all times. 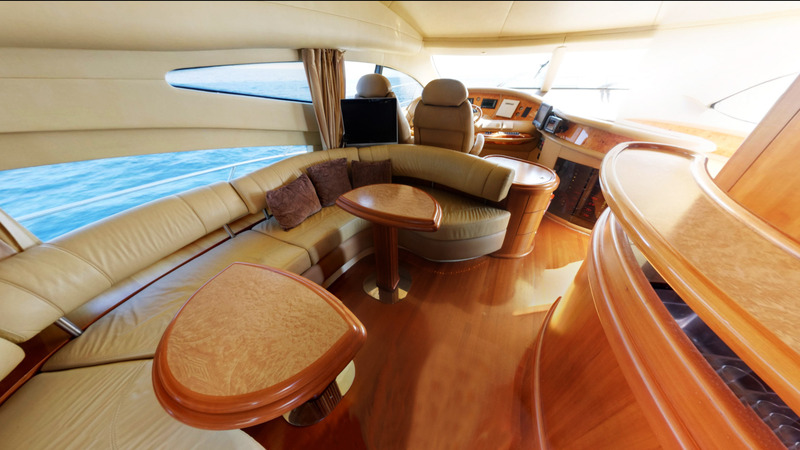 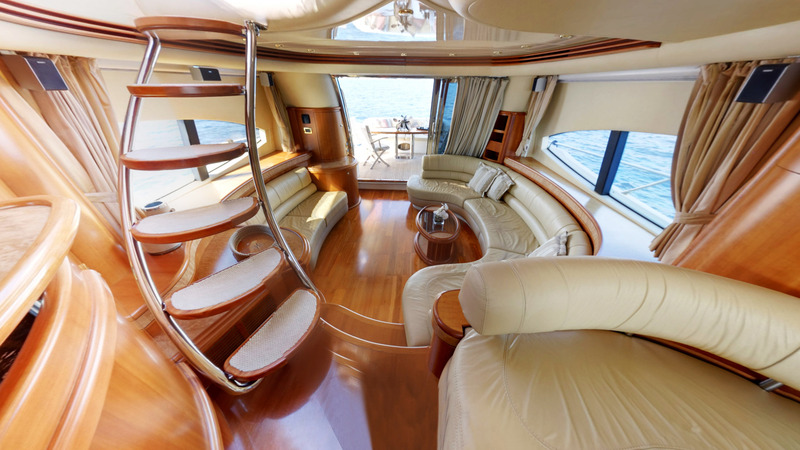 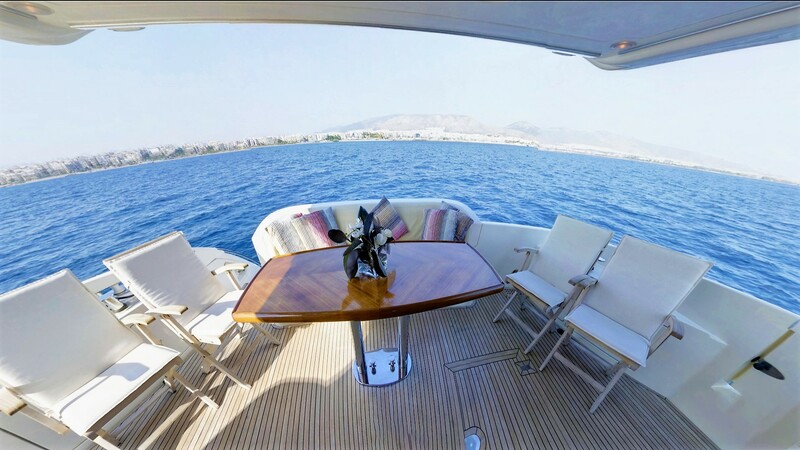 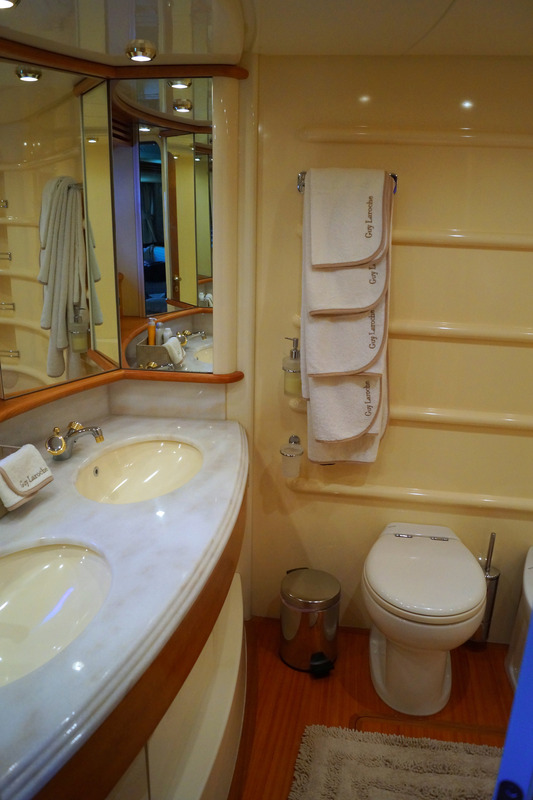 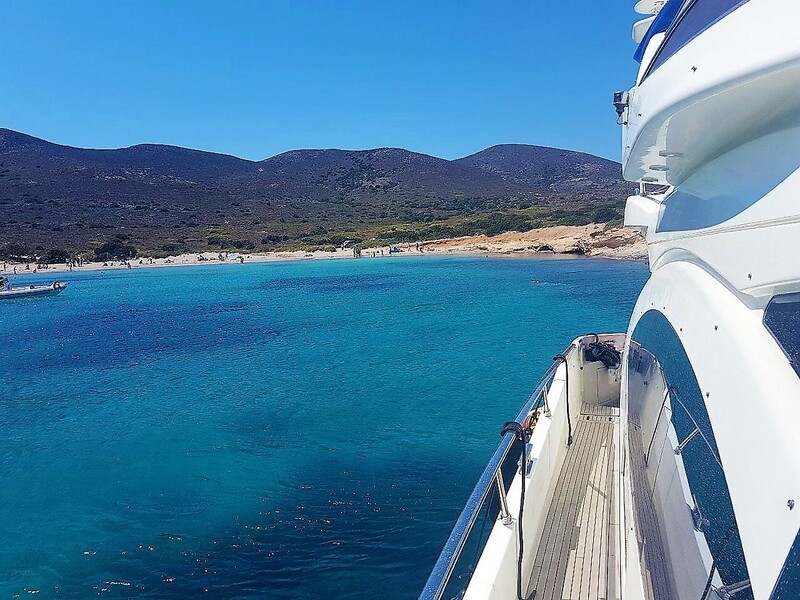 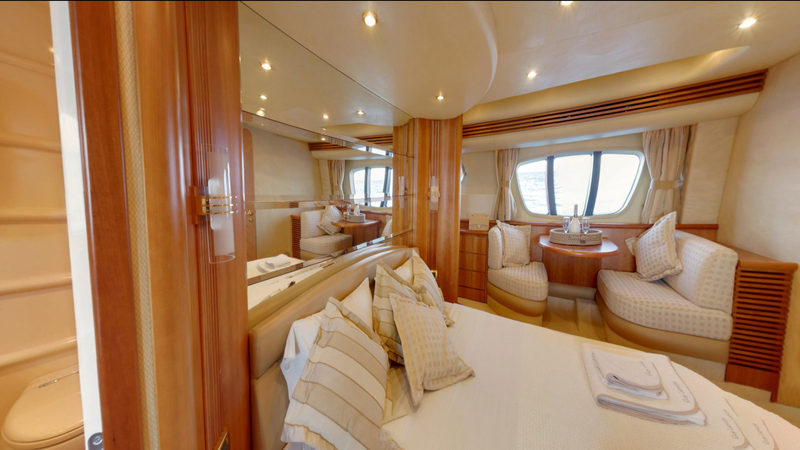 The yacht has a comfortable saloon area with a built-in sofa and coffee table, a nice dining area on the inside, as well as accommodation with deluxe linen and amenities, featuring ensuite bathroom facilities. 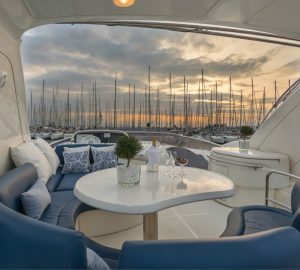 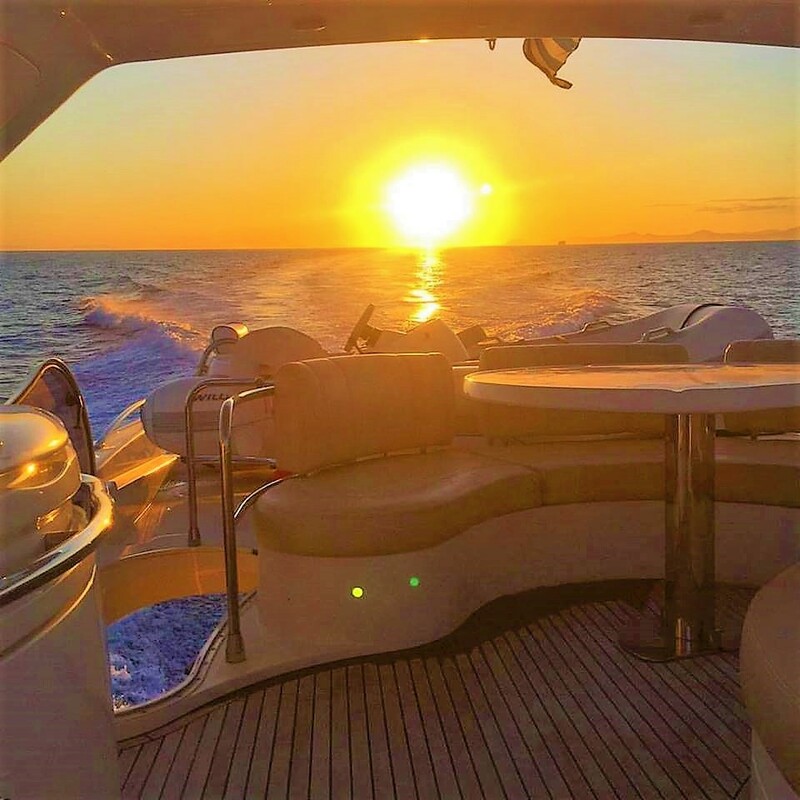 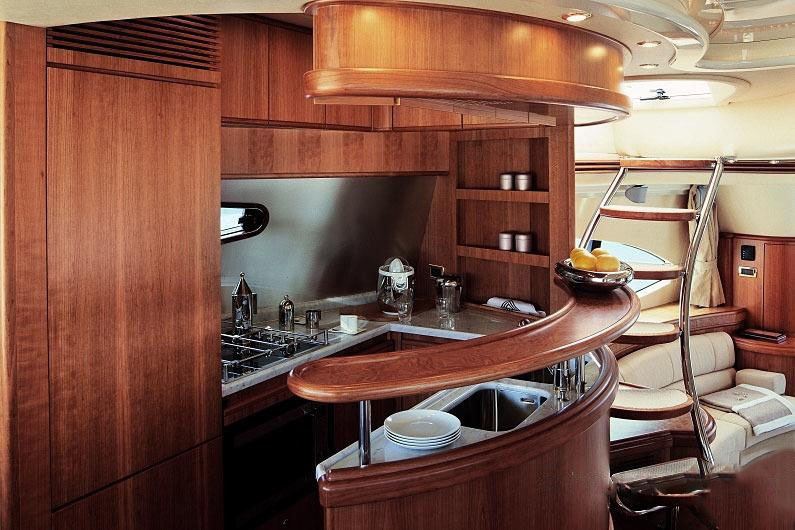 The exterior areas include sun pads on the bow and a fantastic flybridge with additional dining option and relaxation area. 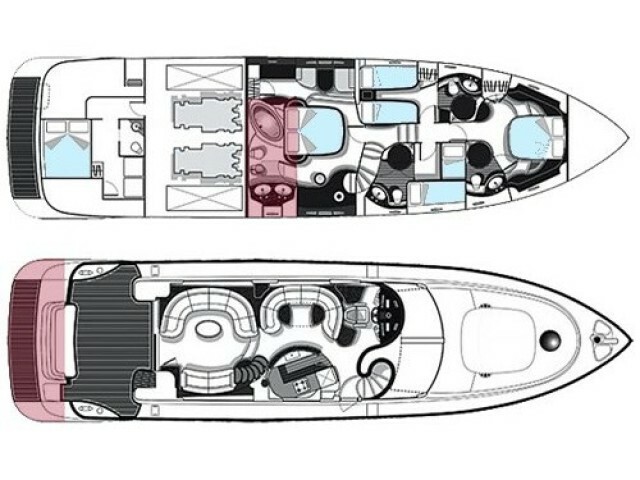 Another al fresco dining possibility is offered by the spacious aft deck, while the aft swim platform serve an easy access to the water and the toys on offer. 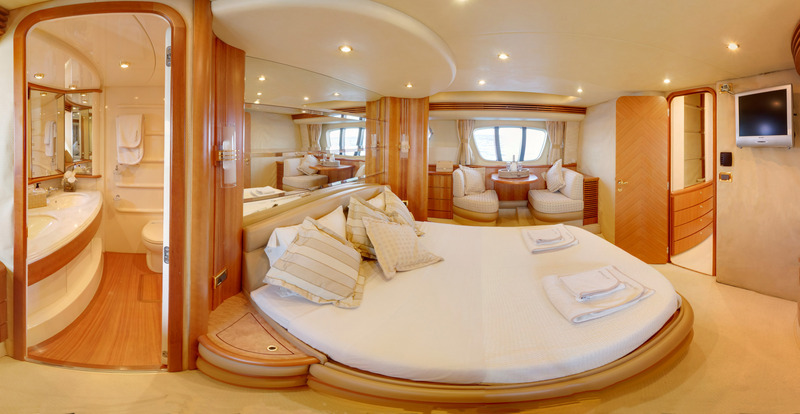 Accommodates 8-9 guests in 4 spacious and luxurious cabins, all with (4) en suite bathrooms. 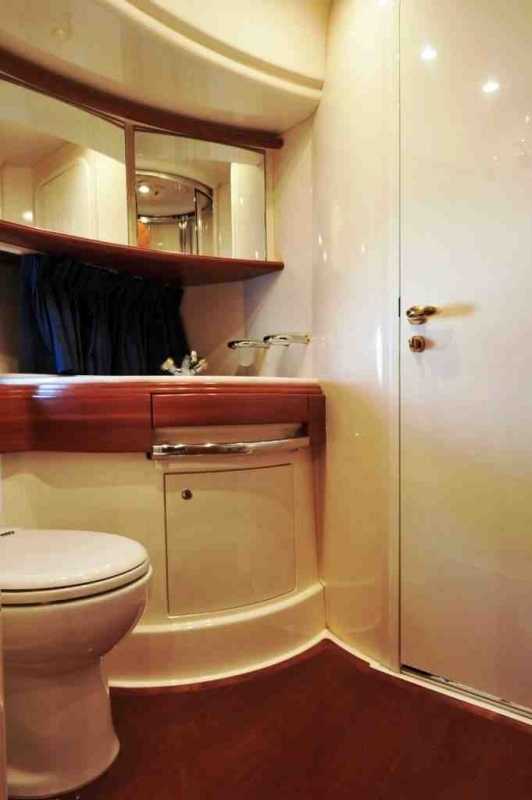 ~ 1 Master cabin (aft-full beam) exceptionally spacious with two large side windows offering fantastic sea views, a small dinette, a large desk, open wardrobe area with mirror, drawers, closet and an impressively spacious en suite (full beam) bathroom with a large bath tub, two spacious marble sinks and ample storage space. 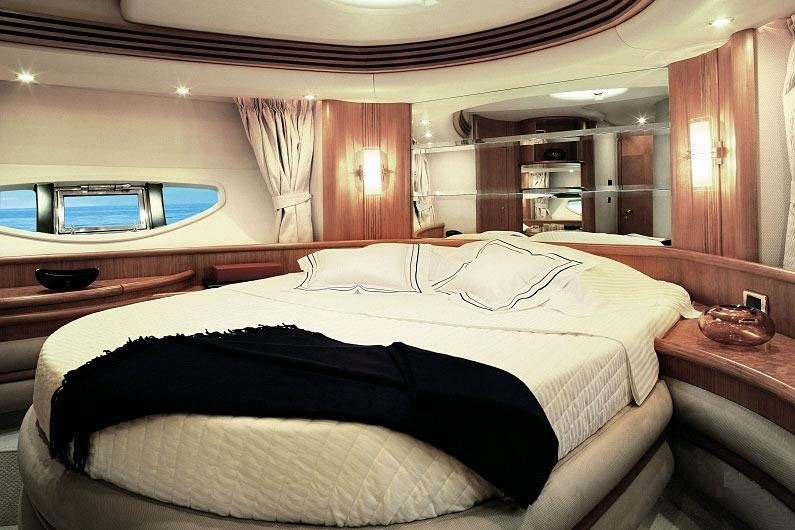 Master Bed dimensions: 1.57 x 1.87cm. 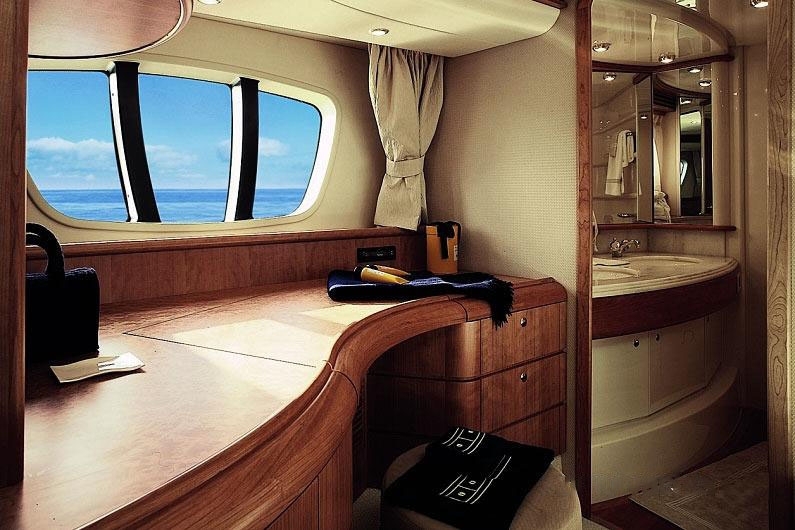 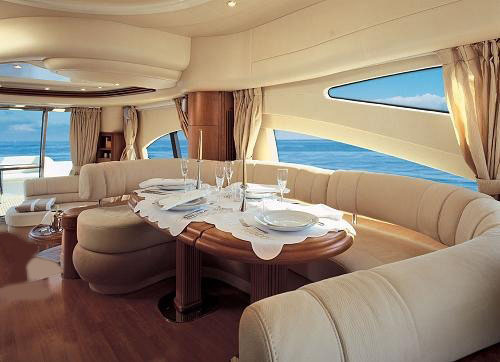 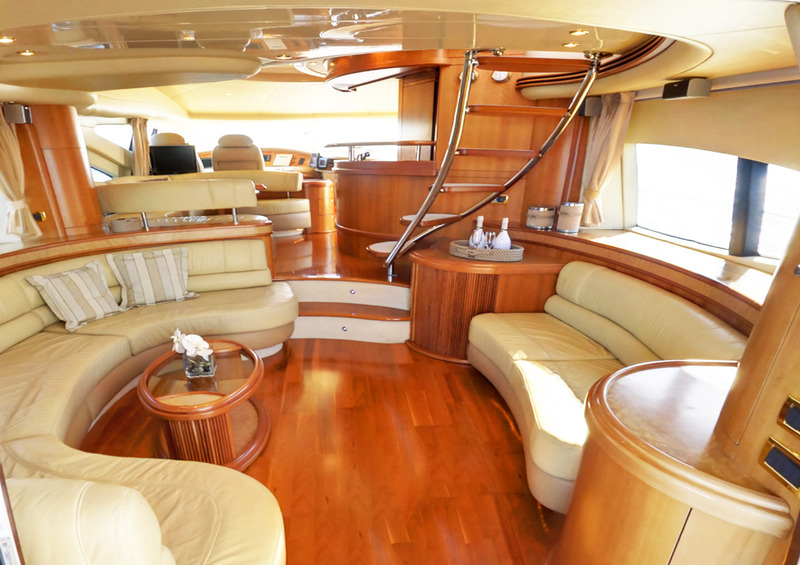 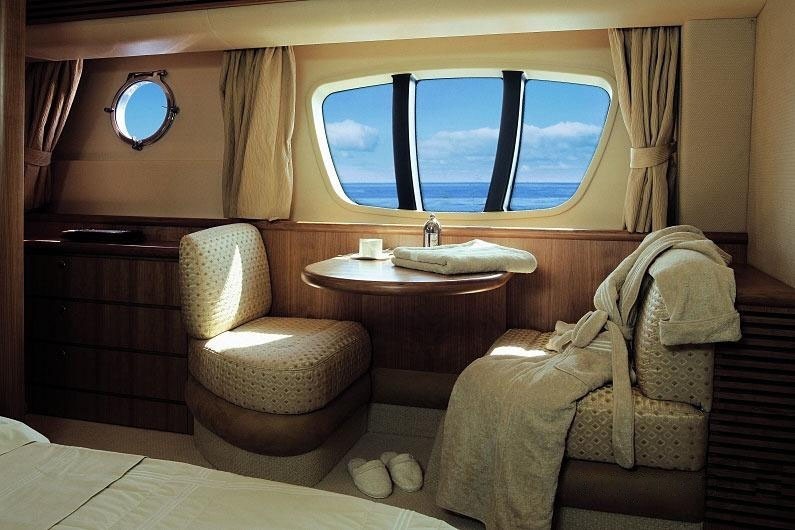 ~ 1 VIP cabin, spacious for this size of yacht, with two large side windows, hutch and en suite bathroom with shower. 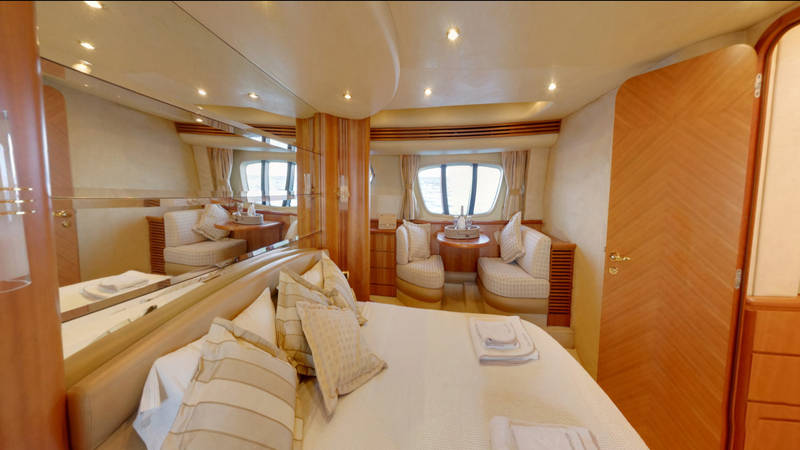 VIP bed dimensions: 1.50 x 200 cm ~1 spacious Twin cabin with 2 single beds, convertible** to a Double cabin with one large double bed (1,74 x 1,90cm) and en suite bathroom with shower. 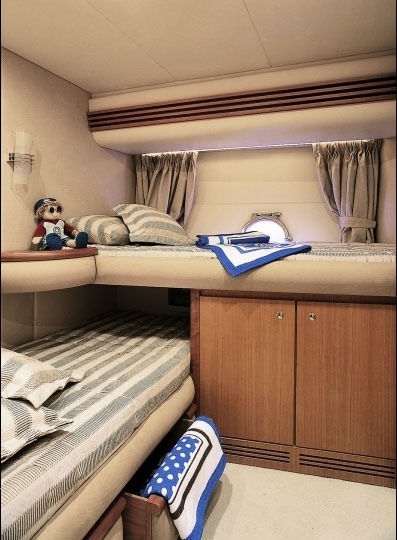 This bed can sleep up to 3 kids (or 1 adult + 2 kids). 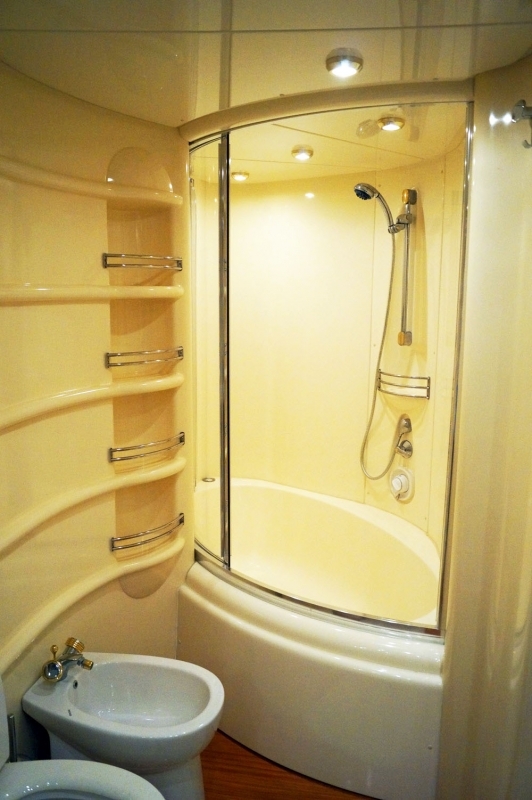 Single Beds dimensions: 0.70 x 1.90cm ~1 Twin cabin with L shaped beds and en suite bathroom with shower, used also as day head (2 doors). 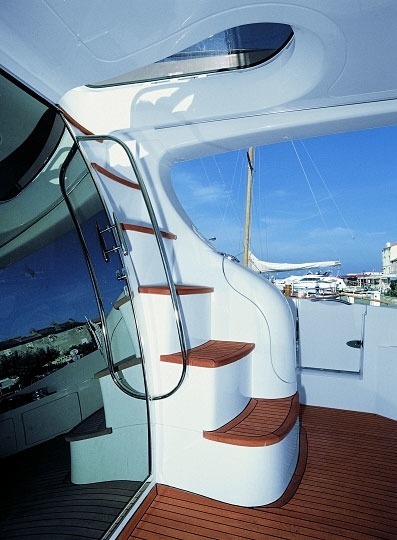 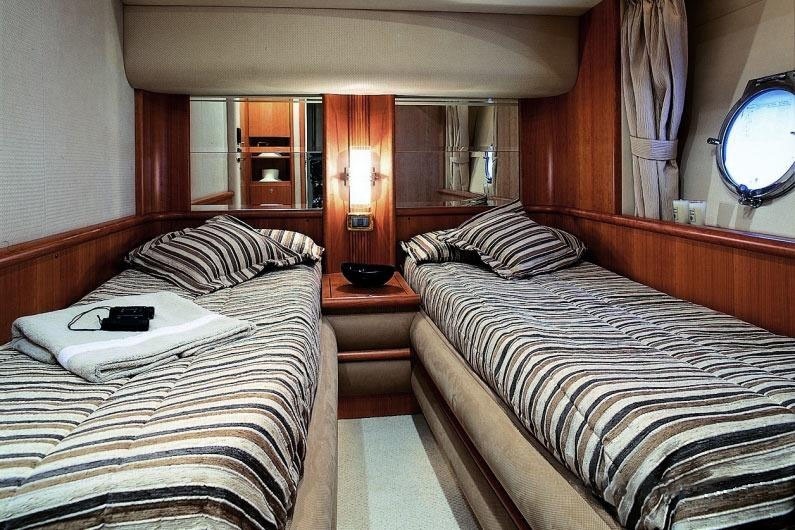 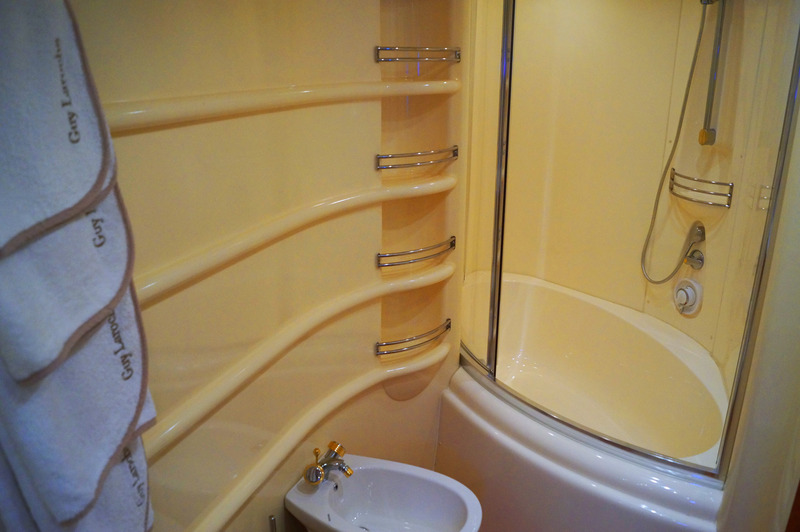 L shaped Bed Dimensions: 0.80 x 1.96cm & 0.80 x 1.74cm Crew cabin with independent aft entrance and en suite bathroom. 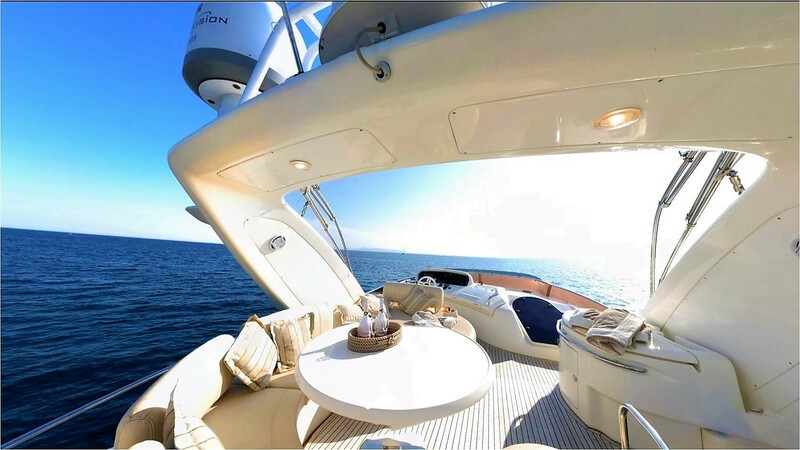 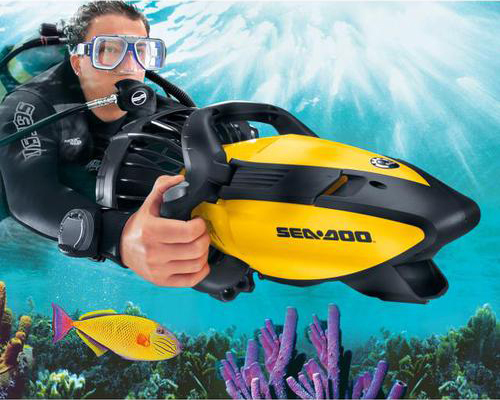 ** Under a special agreement, on request prior to booking.